A Town Properties, Inc. is a fully bonded eviction service provider. We will work with your attorney and local sheriff to ensure a smooth and orderly transaction of occupancy. We will adhere to all applicable local ordinances and legal requirements. After the previous owner has vacated to property we will make sure that your property is cleared and secured. If you job requires the removal and security of the previous occupant's personal property our wholly owned subsidiary company, Metropolitan Moving and Storage, will be on the job to insure that it's done properly. 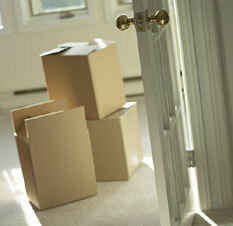 We are Fully Bonded to perform Eviction Services within our service region. We know that the eviction process can be awkward and requires the delicate hand of an experienced eviction contractor. If necessary, we work carefully to see that the defaulted occupant understands who we are and why we we're there. When approaching each job we have over 25 years of experience to draw from to insure that the sensitive issues are handled swiftly and with care. When it comes to debris removal, health hazards and items that cause infestation risks are given priority. All debris is disposed of at a licensed waste facility. Items requiring special disposal (tires, oil, chemicals, paint, appliances) are handled separately and disposed of in accordance with applicable local, state and federal regulations. Your special project needs will be handled by a qualified, trained member of our staff. We will do not subcontract this critical aspect of your project.